It truly is sad to see that young people have not been making their voices be heard. We the people have the power to make so many important decisions yet so little of us young people do. Politics are in charge of the way we live and elections are the way for us United States citizens to shape politics. Unfortunately, the age group of 18-24 is the age group with the lowest voter turnout. So many aspects of our lives are controlled by politics which is why I am determined to make an impact and see those numbers go up. As enthusiastic I am about politics, I will not be at the ballot box casting a vote for this coming election. I am currently 17-years-old and my 18th birthday is 12 days shy from the election. However, not being eligible to vote for this year’s election has not stopped me from getting involved in politics… In fact, it has fueled me to get out and make a bigger impact. I do not want to stand on the sidelines with my fingers crossed, hoping that everything will go well. 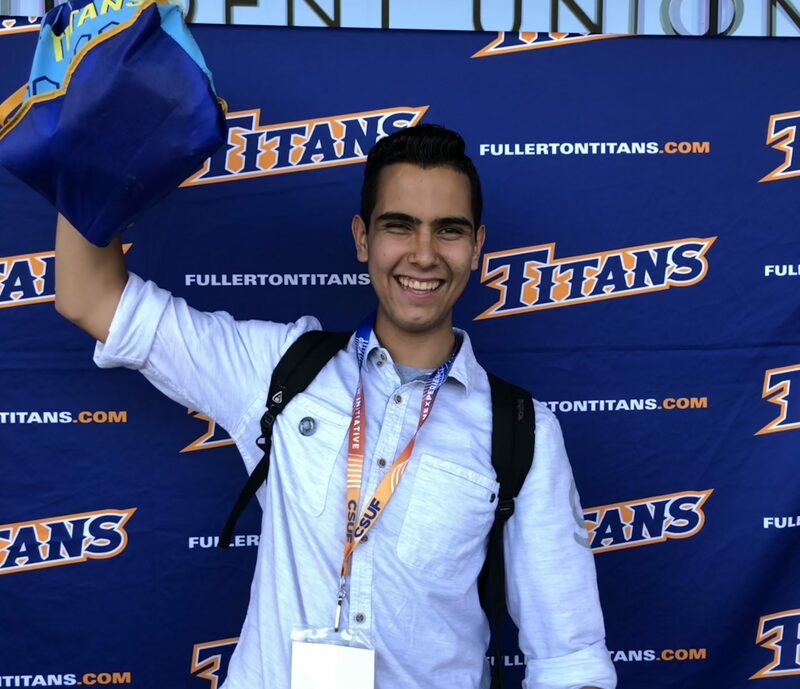 I know how important it is for young people to raise their voter turnout which is why I have taken part of the Voter Registration Coalition team at my school, California State University, Fullerton. As a team, we go around campus with voter registration forms getting students prepared for the midterm elections that are right around the corner. In my time volunteering, I have encountered many different students. I have encountered students who at first glance get scared at the registration form and need assistance in understanding how to register. I have also seen students who have been procrastinating and putting their registration to the side but then push themselves towards doing so once they see us. And my favorite encounters are when I meet students who were not planning to vote but change their minds into doing so after I explain to them just how important it is to vote. I begun working with the team back in August and since then, we have registered hundreds of students to vote. Knowing that I have been informing people about politics and getting them to register and plan to vote is such a great feeling. One of the great things about our country is that the people are sovereign. We have the power to change whatever we do not like about our government. Politics are the way people want them to be. There are so many linkage mechanisms in our government that give us the ability to bring change when necessary – and that is so important as so much of our lives are in the hands of politicians. It is even more important for young people to raise their voter turnout as the reality is that politicians will prioritize the groups of constituents that actually go out and vote. If young people barely go out and vote, does one really think young people’s issues will be prioritized by politicians? When it comes to politics, there are three types of people. The first type are those who wonder. Those are the people who wonder who represents them in our government. They do not vote as they just are not informed. They wrongfully think that politics are not important enough for them to take the time to educate themselves and be aware of politics. The second type are those who just watch. They simply watch other people make their voices be heard. They will watch elections and complain about the results, but when asked if they voted or did anything, they will give an excuse of why they did not. Then, there is the third and best type, those who make things happen. Those are the people who go out and vote or make their voices heard through another way. Voting is such a great way to make an impact, but it is not the only way to make things happen. There are great alternatives other than voting such as registering other people to vote – like I have been doing so, working on political campaigns, donating to interest groups or politicians, and many other ways. A reason as to why not a lot of people make things happen is due to how many people are uninformed. I plan to change that. Being informed in general is essential, but being informed in politics is even more essential. Due to how important politics are, my goal is to increase how many people – especially young people – are part of the third type, the ones who make things happen. The founding fathers purposely gave citizens so much power yet young people barely wield it. Informing other young people about politics to have them make an impact is critical. Going around my university has been a great start but I plan to go even further. I am always excited to talk to anyone about why I have been drumming up enthusiasm for voting, hoping that they go out and do the same. My goal is to inspire other young people to get involved with politics, whether by just voting or by spreading their impact through other means like I have been doing so. I have a lot of hope in the future as it truly is amazing to see that young people could soon be making their voices be heard so much more.